If you’d like to learn more on this topic, listen to our free webinar "How to Start Using Facebook Ads to Reach a Big Audience with a Small Budget." Are fewer people attending your events these days? Are you hoping to dramatically increase attendance at your big conference this year? 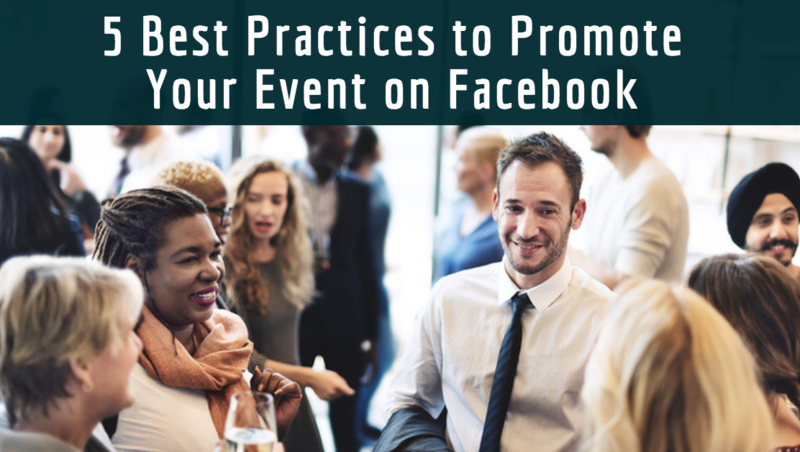 Rather than relying mostly on email blasts, word-of-mouth, and social media posts, many organizations are turning to Facebook ads to fill up their events. The biggest mistake I’ve seen nonprofits make with Facebook ads is this: they don’t create a budget. Let’s say you want to sell 10 tickets to your annual fundraiser, and sell them for $100 each. How much should you spend on Facebook ads to achieve this? This means that you can spend $999 on Facebook ads, and still receive a positive return of $1. But say half of each ticket’s selling price goes to covering expenses for the event. That means you can only spend $500 on advertising tickets — this is your budget for Facebook ads now. Without crunching the numbers ahead of time, you run the possibility of going over budget without even realizing it. When you add an email list to Facebook, you’ll create an audience that you can target your ad to. When anyone from this audience is on Facebook, they’ll see your ad pop up. If you promote your event to this audience by email as well as Facebook ads, you’ll increase the chances of these people signing up. As you probably know, lots of people ignore their emails these days, so Facebook may be the only way to reach them. Let’s say a potential donor once visited your website. You have no way of ever finding them again, right? Wrong. With Facebook ads, you can also target visitors who’ve left your website. All you need to do is add the URLs that you want targeted to Facebook’s back end, and you’ll be all set. If you want to reach out to potential attendees who aren’t yet in your network, Facebook also provides a way to do that. And you don’t have to worry that they won’t be the right fit, because Facebook’s targeting options are almost endless. From life events to education level to income to interests, you’re able to precisely select the right audience for your ad. In this step, you might also want to target people who live near the venue for your event. By combining these three targeting options, you’ll be able to reach out to the right audience — even if they weren’t in your database to begin with. To continue with the fundraiser example, you’ll want to choose a visually compelling image that represents your fundraiser. As for video ads, you’ll want to keep it short — between 2 to 5 minutes is what I’ve seen work best. Make sure to include closed captions so your audience can follow along even if their sound is off. And don’t worry, creating a great ad doesn’t mean you have to spend lots of money on images. Stock sites like Unsplash and Pexels are free and can help you create a professional-looking photo ad without spending a dime (and check out this post on 10 inexpensive and free nonprofit marketing tools that create stunning visuals). You can have the best ad in the world, but if you don’t have an easy way for people to sign up, your ad won’t perform well. That’s why your ad should link to a landing page that makes event registration easy (Wild Apricot can help with this). It might take some time to get your Facebook ad performing just how you want it. That’s why testing different variations is so important. By testing out different images, copy, or landing pages for different events, you’ll be able to track which variation works better over time. For this step to work, you’ll also need a little help from someone technical in your organization (or maybe that person is you). If you’d like to learn more about to use Facebook ads to promote your events, our Head of Demand Generation, Farhad Chikhliwala, presented a free webinar called “How to Start Using Facebook Ads to Reach a Big Audience with a Small Budget,” which can help you get started. And yet Wild Apricot does not have an interface to easily add events from the wild apricot calendar to facebook.